Sega Mega Drive Game published 25 years ago by Acclaim Ent., Inc. 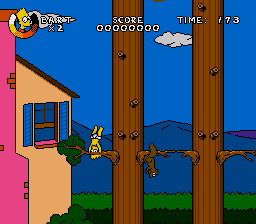 Virtual Bart © 1994 Acclaim Entertainment, Incorporated. Released on December 31, 1995 in Japan.